An instructor provides participants with a demonstration of advanced sprayer technology that uses pulse modulation to prevent pesticide spray drift. 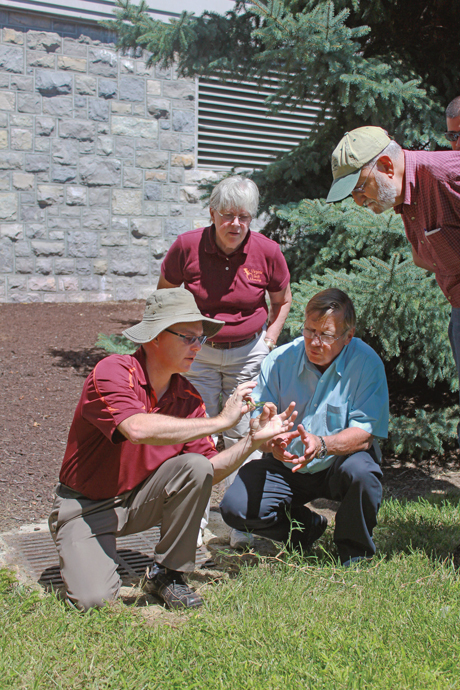 Though the Virginia Tech Pesticide Program was established in 1964, Virginia’s history of pesticide safety education goes back to the late 1800s. Today the Virginia Cooperative Extension program trains pesticide applicators by blending history with modern safety measures. VTPP trains more than 20,000 agricultural producers and pest managers in 27 different certification categories of private and commercial pesticide application during a reoccurring four-year cycle. 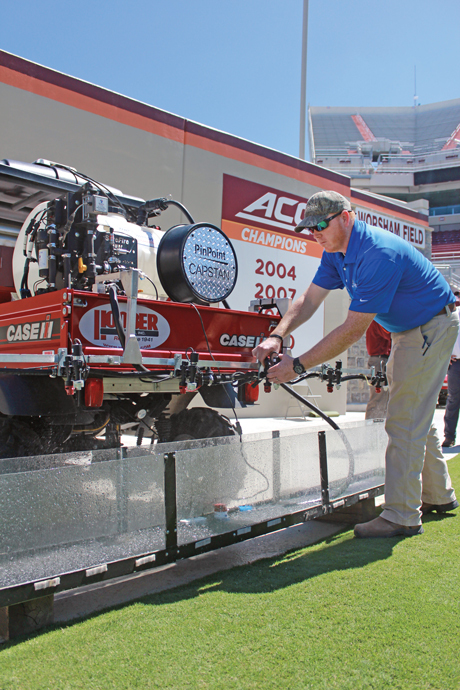 In Virginia, private and commercial pesticide applicators must be certified using a 14-point core curriculum. 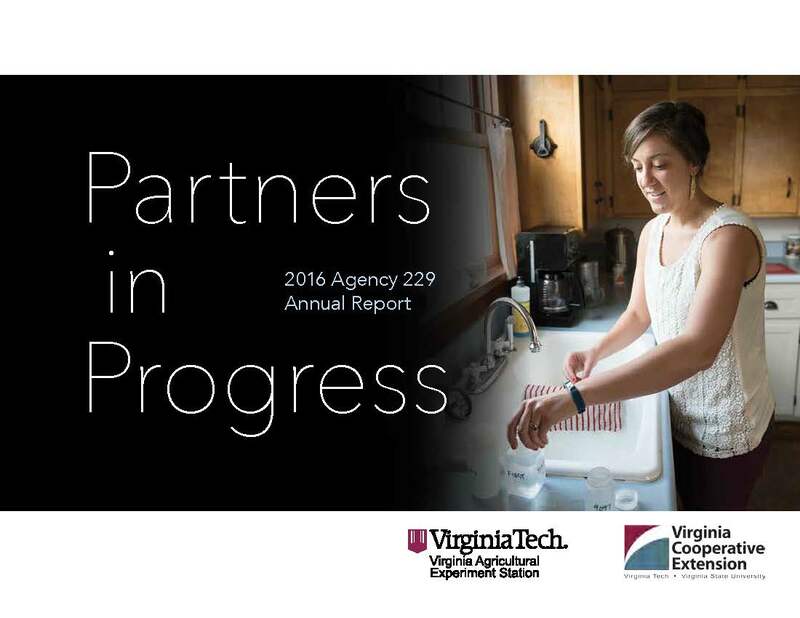 The training is based on a 300-page core manual that’s approved by its partner, the Virginia Department of Agriculture and Consumer Services. VTPP also offers 22 commercial applicator training manuals, training aids, online training, and onsite instruction led by local Extension agents. Through a train-the-trainer workshop held every September, VTPP provides agents with the most up-to-date information about pesticide application technology, regulations, and safety. Weaver often shares Virginia’s rich history in pesticide education during pesticide safety education workshops. Shawn Askew, turfgrass Extension specialist, presents weed identification and management information to Extension agents and turfgrass industry professionals. For example, in 1889 William Bradford Alwood went to an Albermarle Fruit and Grape Growers meeting and warned members about the use of arsenic and other poisons on their crops. In 1892 Alwood and Walker Bowman, Virginia’s first pesticide residue chemist, addressed the public’s fear of pesticide residue on grapes by testing them and finding them safe to eat. These two men became the first pesticide safety educators in the commonwealth. Sharing this information sparks the interest of trainees and shows the significance of pesticide safety education over the years. Another creative use of history was VTPP’s revival of Larry the Label. Larry the Label was a cartoon used by the U.S. Department of Agriculture and national Cooperative Extension Service for public service announcements from the 1950s through the 1970s to warn the public to read pesticide labels. In July 2014, VTPP launched Larry the Label Jr. on Facebook to once again teach the public about pesticide safety and protecting human and environmental health. 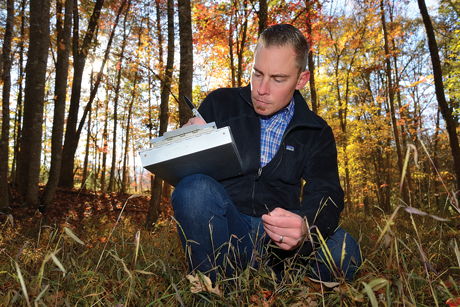 As regulations change over time, keeping people and the environment safe from the misuse of pesticides continues to be the focus of VTPP and Virginia Cooperative Extension. “We do what we do because it’s required, but also because it’s the right thing to do,” Weaver said.